I am a Brand Ambassadör for IKEA U.S. This is a sponsored post. 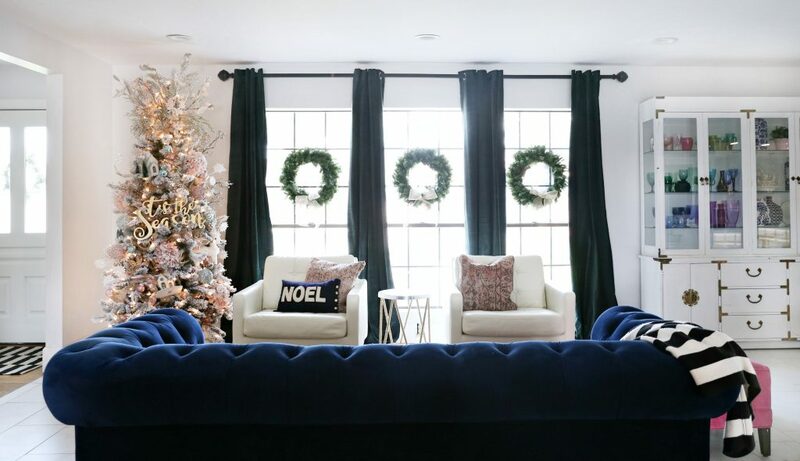 We have decked the halls over at our house and it is already for the guest arrive. Getting ready for guest can be such a challenge. 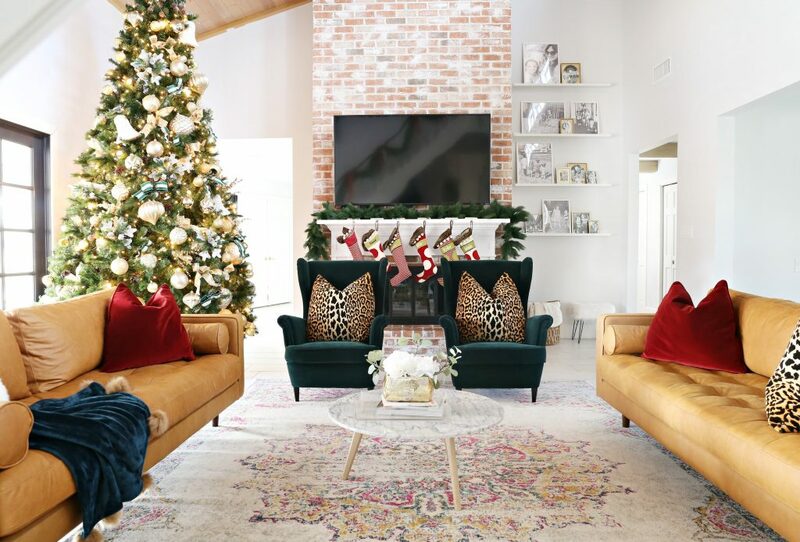 I have family coming in from out of town and because my house is so central to our families we usually host a few parties at our house during this busy holiday season. Before I was ready for the guest to arrive I really wanted to finish a few spaces in my house. I was also on the lookout for some beautiful living room chairs. I headed off to IKEA to get a few finishing touches to complete my family room to start. 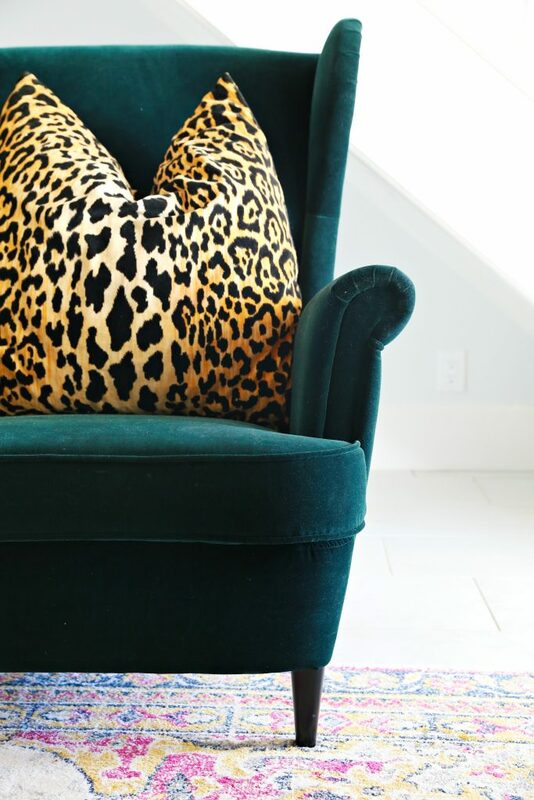 I fell head over heels in love with this STRANDMON Wing chair in Djuparp dark green. I knew adding a pair of these chairs to this space would totally complete the look I was going for in my family room. 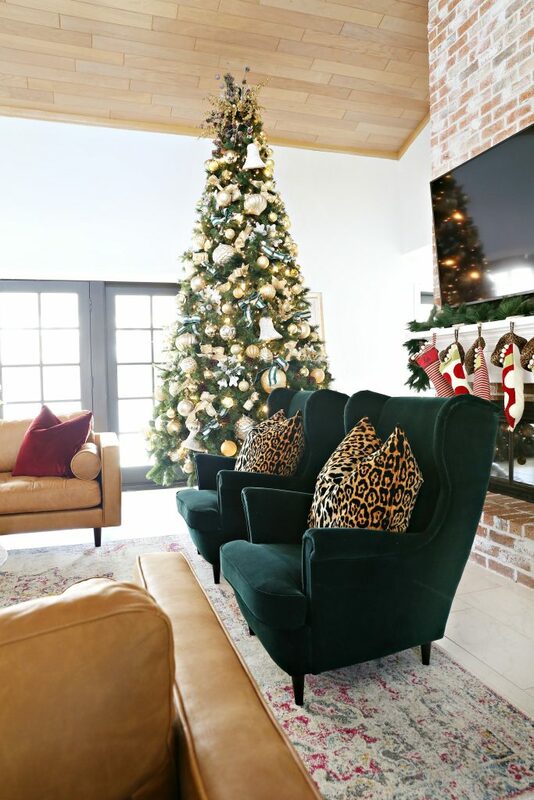 I love it whenever we are having guest over because it pushes me to get everything finished and looking beautiful before our friends and family come to our house during the holiday season and I knew that these chairs would fit perfectly in the space, add some extra seating and go great with my Christmas decorations. 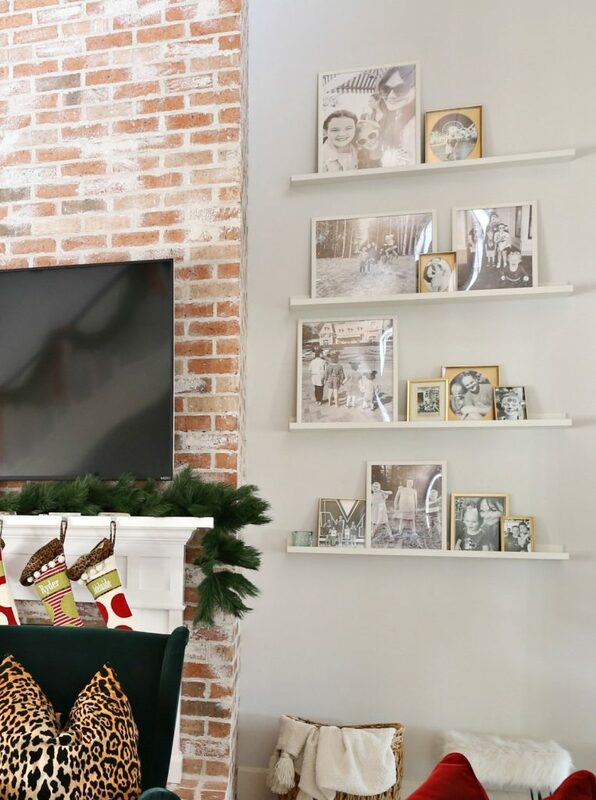 I also added these MOSSLANDA picture ledges and I put all different sizes of pictures frames on the ledges and I put different black and white pictures of our family and friends that I am sure everyone will love to look at. I love that the picture ledges make such a big impact on this tall wall. I loved how great the chairs look in this space and that they are so comfortable too. But I could not just stop at the chairs, they have these SANELA curtains that are so stunningly beautiful and match my new chairs perfectly. I love that SANELA curtains in dark green and the STRANDMON Wing chairs are such a rich tones of the dark green color. They both make such an impact in these spaces. In my front room I also have these dusty pink pillows that are also from IKEA. One of the most asked questions about my house is, “Where are the square frames in my entryway from?” These frames are also from IKEA. They are the from the RIBBA Frame Collection and they are THESE ONES. My family room has been such a work in progress since we moved in. I knew the vibe I was going for in this family room was comfortable but yet very classic and timeless. And I think I achieved just that. IKEA has such beautifully made furniture and I love that these chairs are so comfortable and I love the style of them. 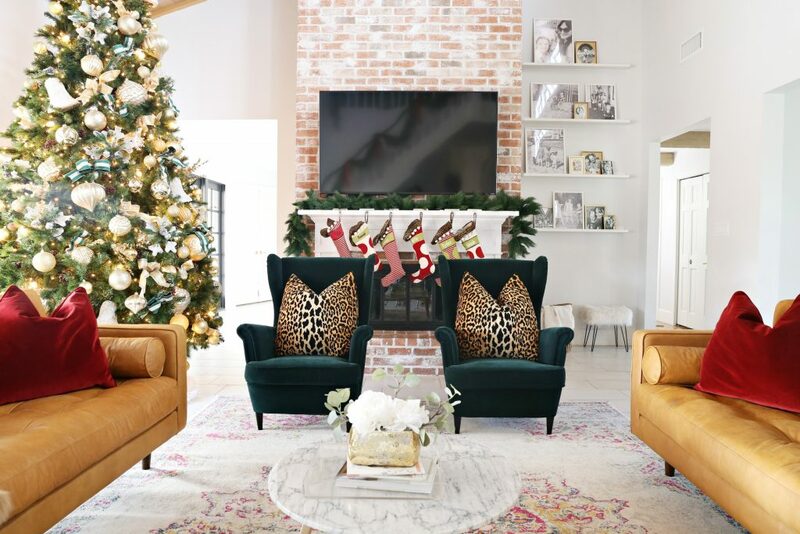 I love that they go so well with my everyday decor but just adds a little extra pop of green during this holiday season. 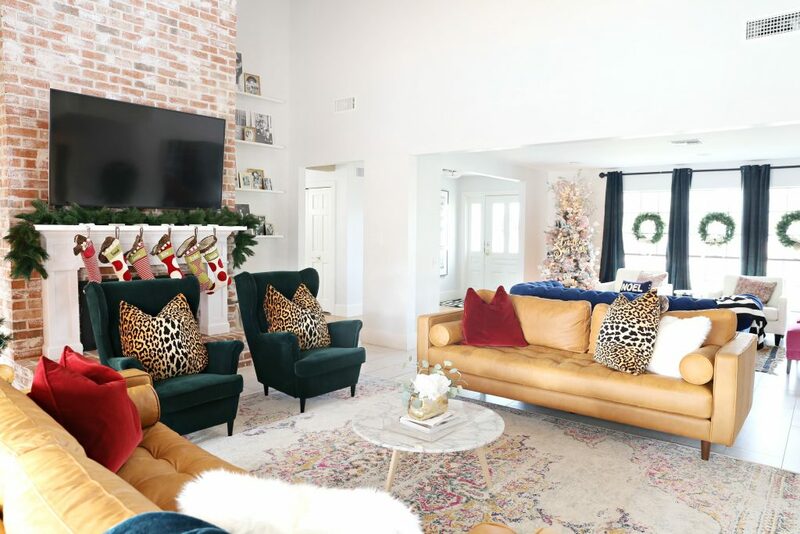 Now my house is ready for all the holiday parties and get togethers we are having this time of year and I am excited to show out family and friends our new finished space. 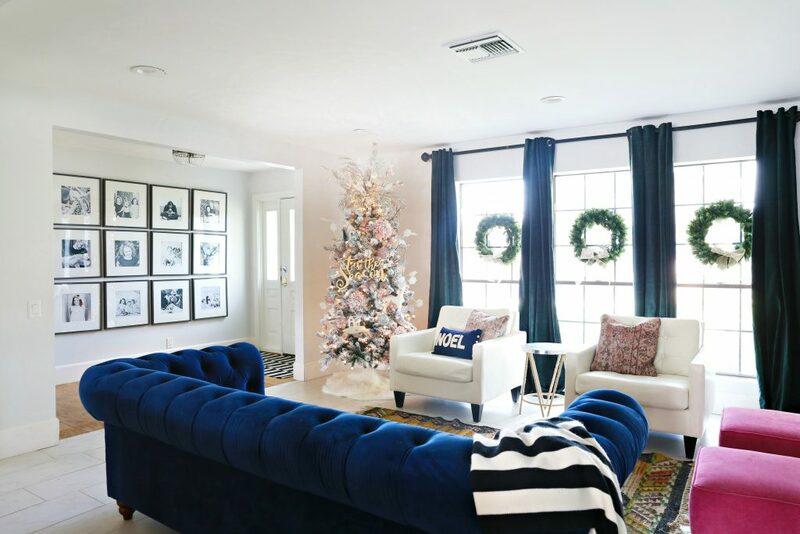 Be sure to head to your nearest IKEA to help finish off your space just in time for the holidays.